Our Youth Hockey League is designed to introduce boys and girls (6U/8U Mites) to the fundamental elements of hockey in a fun, instructional and safe environment. From the moment your child hits the ice, our program will assist them with the advancement of their individual skill level and hockey knowledge while enhancing their level of play through fundamental skill work, sportsmanship and team building in a structured environment. Games and practices are hosted at Swonder Ice Arena. Everyone plays! Players receive 8 weeks of programming including games and a weekly one-hour instructor-led practice session, instructor coach, league hockey jersey/socks and individual awards. Wednesday practices are optional but highly encouraged for skill development. Our 6U/8U Mites program will also practice during game play on Saturday’s with a rotation of play and practice. Details will be given during league. Games and practices are hosted at Swonder Ice Rink. 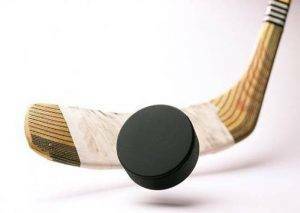 Register at the Dunigan YMCA front desk..
*In addition to your league fee, participants must purchase their own hockey equipment (helmet, pads, gloves, stick, skates, etc) in order to participate in the program. We recommend purchasing equipment at Play It Again Sports or online at www.hockeymonkey.com or www.hockeygiant.com. If interested in playing we encourage you to register for the “Learn to Play” Camp hosted by the Nashville Predators in the summer at Swonder Ice Rink. Fee is $95 per child and all children receive Little Preds branded hockey equipment (including skates) to keep (which can be use in our YMCA hockey league). Download the “Learn to Play” Hockey Camp Flyer and register at www.nashvillepredators.com/littlepreds. – Skate rental is available for kids in our league at Swonder. Contact Hockey Coordinator, Coach John Cobb at hockey@ymcaswin.org for additional details. – For additional information contact Sports Program Director, Coach Matt Laine at laine@ymcaswin.org (812-491-7721) or Hockey Coordinator, Coach John Cobb at hockey@ymcaswin.org. To stay-in-the loop and receive details about our upcoming youth hockey clinics and camps (and leagues) please sign up for our e-mail newsletter and/or text alert notifications. To join our e-mail newsletter e-mail sports@ymcaswin.org with your name, address, e-mail and cell phone. To join our text alert notifications text the message @ymcahockey to 81010.